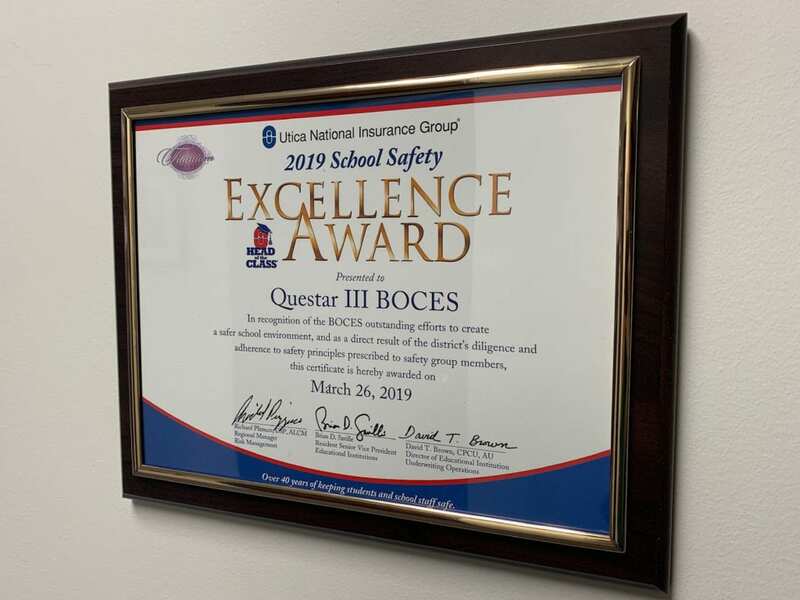 Utica National Insurance Group awarded Questar III BOCES the Titanium level School Safety Excellence Award for 2019, marking the 11th consecutive year the BOCES has received the honor. The honor is presented annually and recognizes school safety efforts as BOCES and districts work to help keep students, staff and visitors safe. This is the 10th consecutive year Questar III has earned such a designation. The Utica, NY based insurance agency presented the award at the 39th annual school safety seminar on March 26 at the Saratoga Hilton/City Center in Saratoga Springs, one of seven seminars across the state. 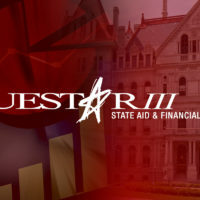 “This award reflects the collective efforts of Questar III and its staff. Thank you to our staff for their continuing efforts to provide a safe and healthy learning environment for our students, staff and visitors,” said Hansen. Utica National’s School Safety Excellence Award Program has three levels – titanium, platinum and gold – in which schools can earn distinction by meeting specific criteria to enhance overall safety. 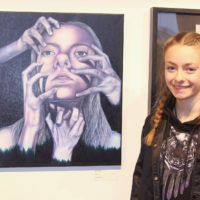 The program evaluates BOCES and school districts on several categories, including bullying prevention programs, playground safety and other areas. Questar III’s Health & Safety Service continues to lead and support safety efforts for the BOCES and school districts across New York State. The service provides safety and security audits, program development, training and consultation to assist districts in compliance with a number of state and federal mandates. This includes emergency management planning, blood-borne pathogens, hazard communication, personal protective equipment, lockout/tagout, indoor air quality investigation, pest management and playground inspections. The Health & Safety Service also provides on-site consultation, emergency notification communication and AED/CPR/First Aid training.